Animal Farm rehearsals are well underway and with a couple of weeks to go until we open at BOAT we are enjoying ‘life on the farm’! 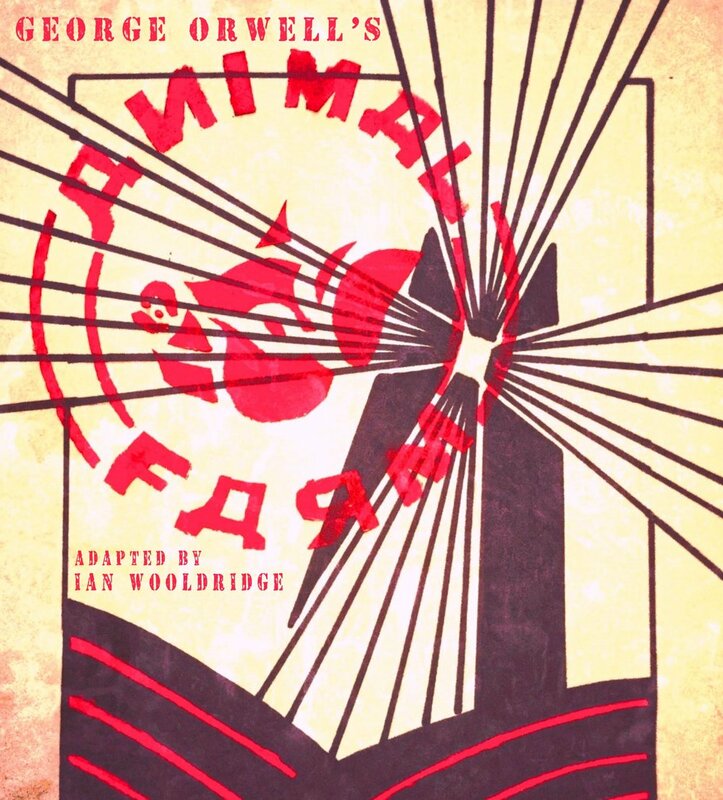 George Orwell's Animal Farmis a work that, through the extensive use of allegory, compares a small farm to the last years of Imperial Russia and the first years of the Soviet Union. One of the oldest pigs on the farm, Old Major, calls the animals together. In order to improve their lives, he convinces them to get rid of the farmer, Mr Jones. After Old Major’s death, the pigs of the farm unite to bring about his dreams of revolution. However with Farmer Jones gone, and the farm under pig rule, the dream of a free animal society becomes corrupted. I’ve been really lucky to be able to work with a cast of new and not-so-new members. It genuinely is an ensemble piece and everyone is working hard to bring this modern classic to the stage in an adaptation by Ian Wooldridge. Gerry Wicks plays Old Major, whose dream ignites the flame of revolution with a catchy tune! Leigh Ward plays Napoleon the overbearing dictator, Faye Woodbridge plays the earnest Snowball and new member, Alan Stewart plays the scheming Squealer. They’ve all been oinking all over the place! Clover and Boxer, the farm’s two steadfast horses, are played by Ella Turk-Thompson and Rob Punter (another new member) respectively. Completing the horsey trio is another new member, Claudia Fielding, who plays Mollie, Mr Jones’s favourite white mare. Continuing with the new members, Benjamin, the old donkey who never forgets anything, is played by Diane Robinson and Alfie Moffit plays Moses, the evangelical crow. Nick Barber and Katie Wildig (along with other members of the cast) play the down-trodden and hardworking farm animals, including a rooster and four traitorous pigs! Joining us straight from Sense & Sensibility are Suzanne Buist who plays the gossipy Pigeon and Keziah Israel who plays Minimus the young porker taken under Napoleon’s wing. Humans also make an appearance! Dug Godfrey plays two farmers - the erstwhile Jones and Pilkington, the owner of the neighbouring farm. Steven Adams brings it all together playing the all seeing George Orwell (the narrator). As well as channeling his inner Orwell, Steven Adams has built the farmyard and Tom Williams has provided us with a fully working windmill! I am also delighted that Stephen Evans has been able to join us as Stage Manager and of course, Chris Smith has been invaluable as my Production Manager (or should that be shepherd?). As I say, we’re all having a marvellous time down on the farm and I really hope you will be able to join us either at BOAT or at the theatre (or both!). Animal Farm then moves on to BLT from Tuesday 14thAugust and runs through until Saturday 18thAugust (5 performances). Tickets available in the usual ways, online here or by calling 0844 888 0432.